UPDATE 6:20pm: West 57th Street between 11th and 12th avenues has been closed to traffic, with fire and police crews on the scene. See below for on-site photos. 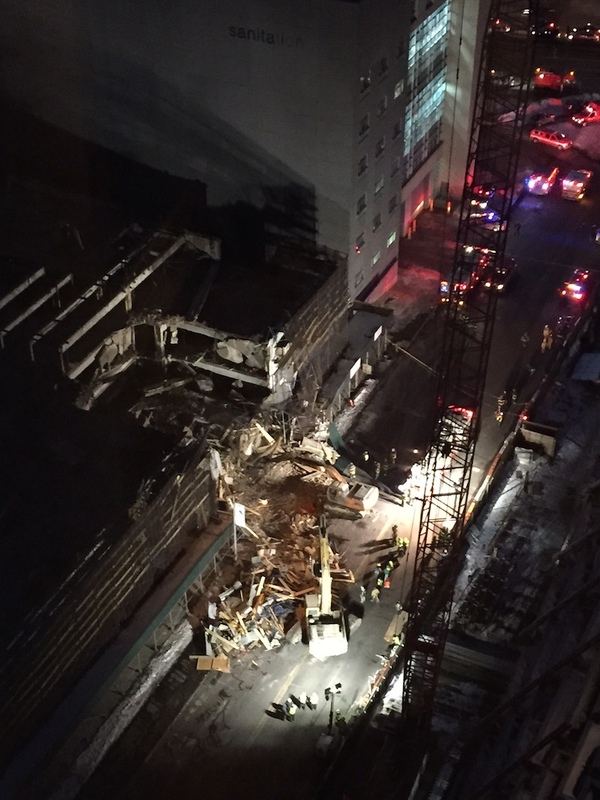 A building under demolition at TF Cornerstone’s planned apartment site at West 57th Street and 11th Avenue has partially collapsed. The four-story garage, located at 622 West 57th Street, collapsed around 2:35 pm this afternoon, ABC7NY reported. 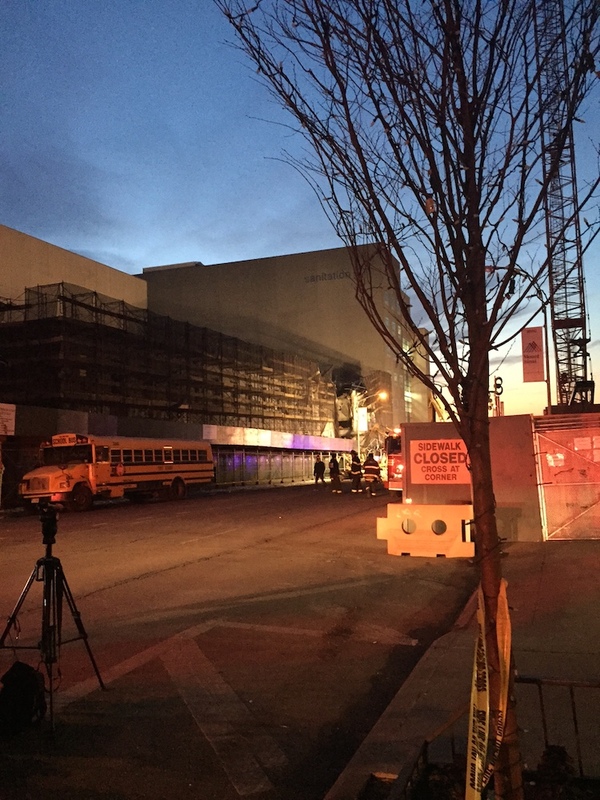 All construction workers at the scene have been accounted for, and police have reported one minor injury, according to NY1. Demolition had commenced at the structure in mid-January, according to permits filed with the Department of Buildings. 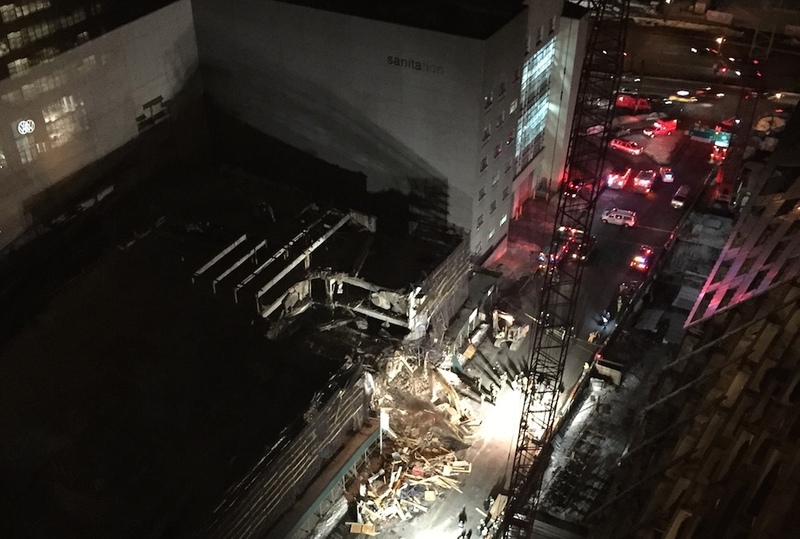 Previous reports identified the collapsed garage as 642 West 57th Street. 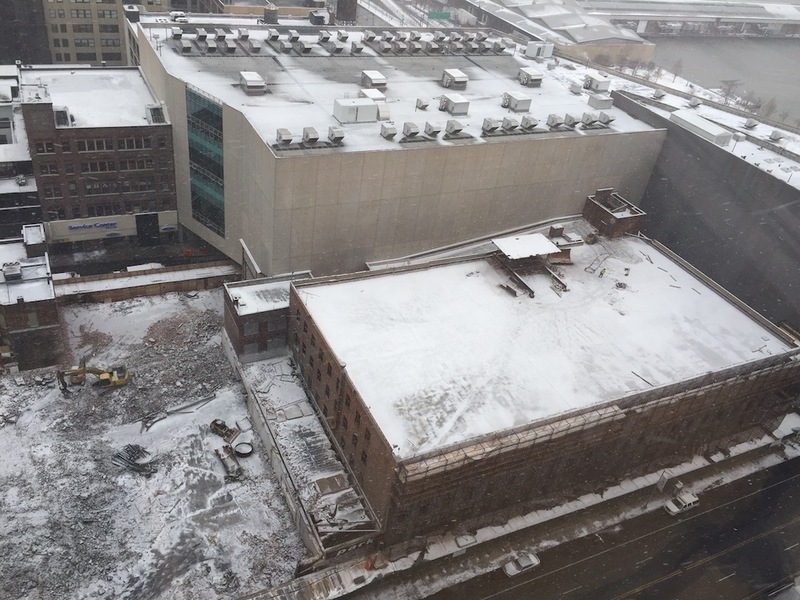 The garage, which closed in September, was one of several structures on the block being razed to make way for a new 42-story rental project. The development was slated to hold 1,028 rental apartments, with an anticipated completion date of Spring 2017. 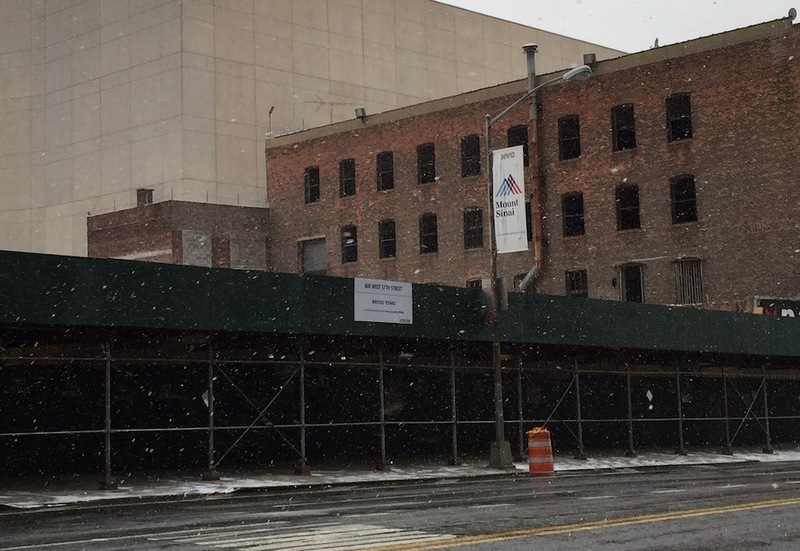 Here are photos of 622 West 57th Street from January 26th (it’s the structure to the right), when we did a construction update.